Balance 500 Sublingual spray uses an easy and hygienic pump top to accurately dispense 1/4 ml per pump. Each pump of our 500mg blend provides 4mg of CBD. RECLAIM YOUR PEACE. LET GO. LIVE STRESS FREE. LIVE WITH BALANCE. IrieCBD’s Balance 500 Blend is a powerful tincture combining the cutting-edge science of Adaptogenic herbs with the benefits of our pure hemp CBD extract. Balance 500 includes the world’s finest sustainably grown, full-spectrum CBD hemp extract oil, gently infused with the purest ingredients, including organic hemp seed oil and Vitamin E oil extract as an anti-oxidant and natural preservative, and high quality essential oils. Our CBD oil is naturally derived using supercritical CO2 extraction without the use of any harsh chemicals, completely hexane and butane free. 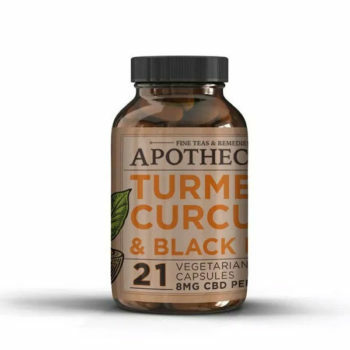 Made from organic, Oregon grown industrial hemp, IrieCBD tinctures optimize the plants naturally occurring terpenes, constituents, essential fatty acids (Omega 3, 6, 9), and phytochemicals. Every batch is lab tested by a third party for purity and potency. * We are sorry this product is not available for sale within the European Union.